​SINCE 1993, MID-AMERICAN GLAZING SYSTEMS HAS PROVIDED TOP NOTCH GLASS AND GLAZING SERVICES ALL OVER IOWA AND MUCH OF THE MIDWEST. WHEN WE BEGAN, WE ESTABLISHED THAT OUR BUSINESS POLICY WOULD BE BUILDING LONG STANDING RELATIONSHIPS WITH OUR ARCHITECTS AND GENERAL CONTRACTORS BASED ON THE QUALITY OF OUR WORKMANSHIP AND OUR PRODUCTS BEING THE BEST AVAILABLE, NOT JUST IN OUR MARKETPLACE, BUT WHAT WAS AVAILABLE FROM OUR INDUSTRY. ​WE SET FORTH ON A COURSE TO EARN A REPUTATION THAT REFLECTED THIS POLICY. 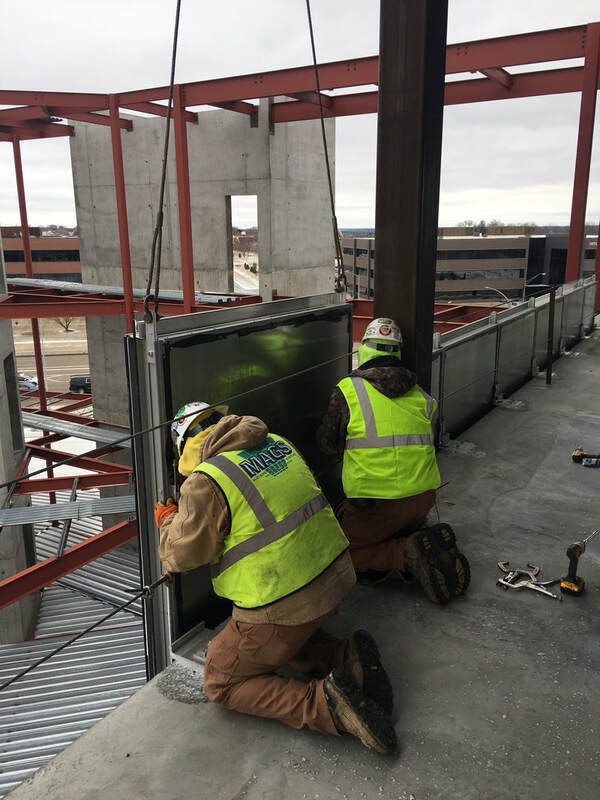 IN ORDER TO ACCOMPLISH OUR GOAL, WE PARTNERED WITH GLAZIERS LOCAL 581 AND 1075 AS WELL AS THE IRON WORKERS LOCAL 67, RECOGNIZING THAT DELIVERING THE BEST POSSIBLE FINISHED PRODUCT TO YOU CANNOT BE ACCOMPLISHED WITHOUT THE HELP OF TRAINED, CAPABLE TECHNICIANS. TODAY, WE ARE PROUD OF THE WORK THAT WE HAVE PRODUCED, AND WE HOPE THAT OUR CUSTOMERS ARE PROUD TO HAVE WORKED WITH US. If you would like further information about Mid-American Glazing Systems or a free estimate, please do not hesitate to call. As always, we look forward to being of assistance to your company by providing technical assistance from concept to creation.